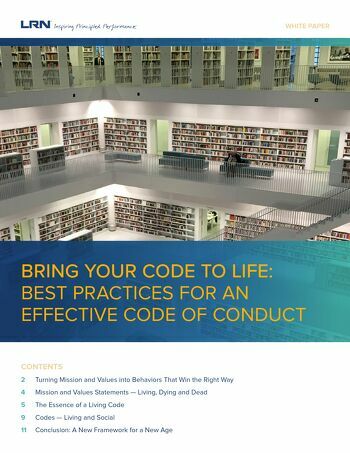 In this guide, learn 12 steps that boards of directors and compliance leaders can adopt to help make ethics & compliance the priority it needs to be. These practices will help organizations shift time and strategic focus to E&C, hold leadership accountable and create meaningful metrics. 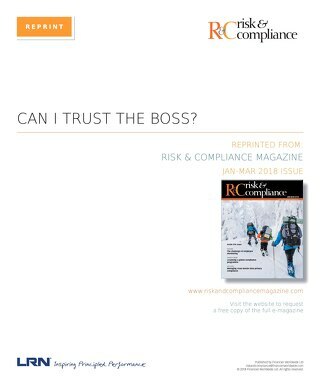 For more information on this topic, view our recent webcast, What's the Tone from the Very Top? 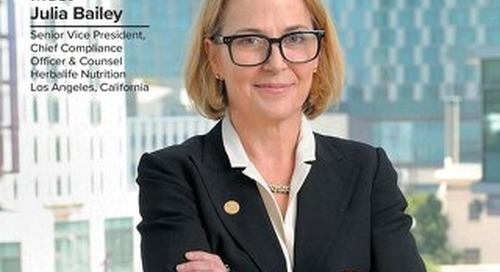 The Role of Boards in Overseeing Ethics and Compliance, on-demand. 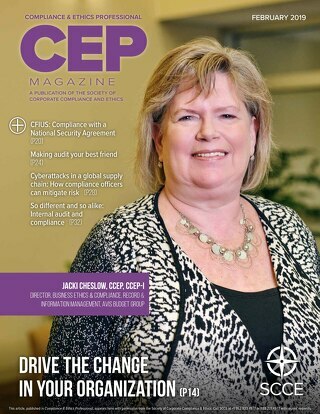 This LRN article, reprinted from Risk & Compliance Magazine, discusses the need for front-line managers to have tools and resources to practice how to listen effectively and to respond. 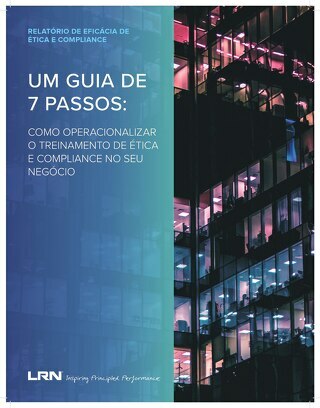 LRN's 7 Step Guide to operationalizing ethics and compliance training in Portuguese.